UC Cricket, UC Browser's in-app channel for cricket content aggregation, offers all-in-one live cricket content, including live scores, news, videos, photos, live commentaries and more.UC has also roped in legendary cricketers Virender Sehwag and Irfan Pathan in a bid to meet rising demand for cricket content on the platform. 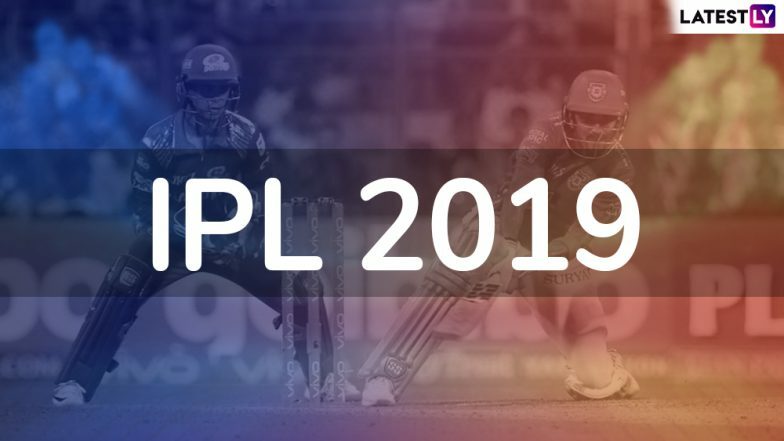 IPL 2019 Schedule in PDF for All Matches: Download VIVO Indian Premier League 12 Full Timetable With Fixtures, Dates, Team and Venue Details. The two UC Cricket Captains have been indulging their fans with exclusive commentary, short-videos, GIFs and memes, all the while cheering and supporting their respective teams in the IPL. So far, 4 million users have taken part in the Play & Win Game to win prizes worth 800,000. Cricket news feed consumption is up 34% on UC Browser versus same IPL period last year.Virender Sehwag has been teasing his fans to win big through the UC Play & Win Game this IPL with funny memes and posts on his Facebook Page.During the opening match of IPL, Sehwag placed his bets on RCB whereas Irfan Pathan favoured CSK. Sehwag sportingly completed the #TappingChallenge upon losing. Hundreds of fans followed suit and posted their own version of the Tapping Challenge on social media. All eyes are now set on the highly-anticipated match between Chennai Super Kings and Mumbai Indians on 3rd April. Placing his bets on Mumbai Indians, Irfan Pathan gave his fans on UC Browser a sneak peek into the minds and captaincy style of Mahendra Singh Dhoni versus Rohit Sharma and why CSK has always been touted to be the invincible team of IPL. UC Browser is offering cricket fans a chance to win big by participating in the exciting Play & Win Game on the browser. Users can guess the right answers for every match and win UCoins, which can be exchanged for Paytm Cash.